The convention season for the NEHW as a group is winding down with 2 shows left this year. Super Mega Fest and Northeast Comic Con. After that unless something hits us in the head we'll likely be taking a couple months off from the rotation. But we are always looking for new shows to do - no craft fairs though - if you have any ideas, feel free to run them past us via email. We invaded Maine this year for the first time. Next year we're hoping to hit VT and CT.
We're also looking for a location for the holiday party, that doesn't involve someone's house or apartment. October - our time of the year. When people think October I know lots lean towards box-store costumes and bulk bags of candy. I for one (Scott) lean towards how many horror movies can I cram in this month, along with working, writing/editing and of course reading. As I look over the crowded bookshelves I think "What next?" And I don't know. So in celebration of "What's Next?" 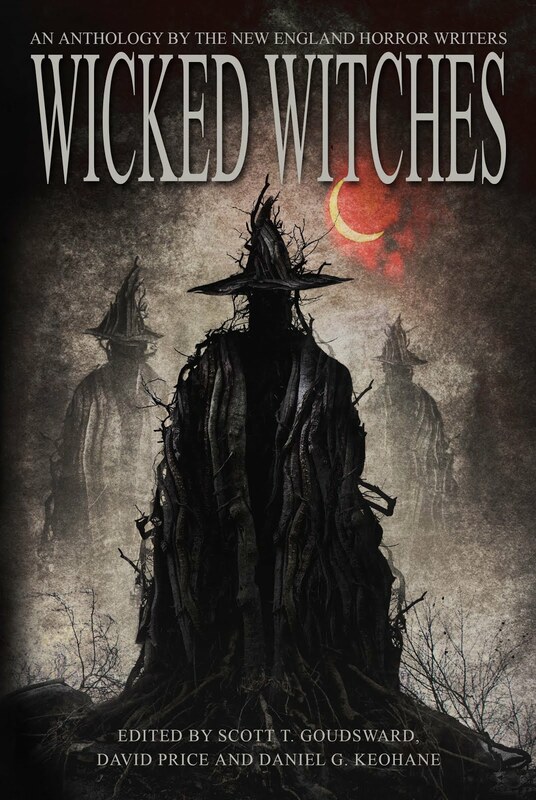 The NEHW will have a small table at the Merrimack Valley Halloween Book Festival. 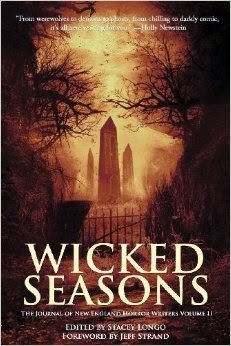 The brain child of Christopher Golden, this 1/2 day event will feature local and some not so local authors. The event runs today from 1-730 in North Andover and I am very happy (?) to say the thing is sold out. It is a free event, and the free tickets were for crown control. So sadly if you don't have a ticket, you won't be getting in. "What's next?" I know several friends have new releases out, so as I'm looking through tables, maybe I'll find the "What's next?" book or maybe dig a little deeper into my Kindle and check out what I have forgotten about buying. So we're a little "late" with updating the page. We as a group have surpassed 400 members across the six states. 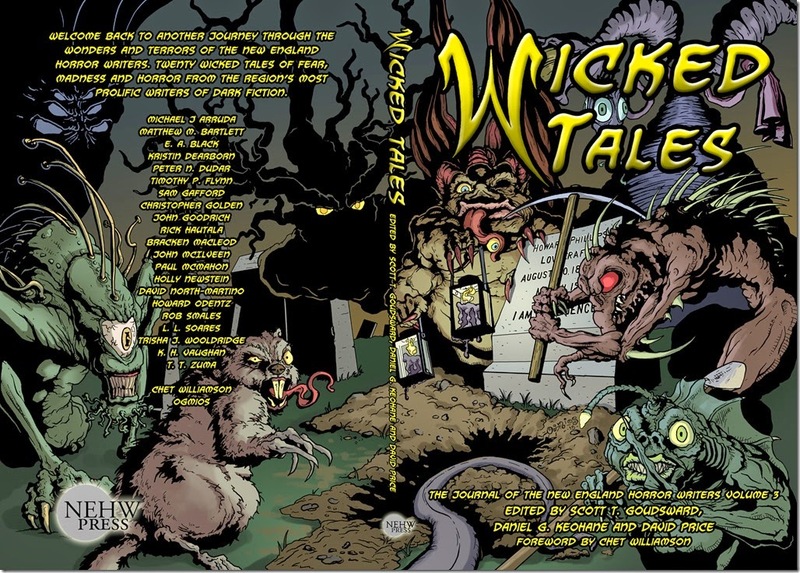 We have released our third anthology Wicked Tales. And we keep on growing and getting better. Some general group news, several of our members were asked to participate in the anthology Snowbound With Zombies, a charitable book, with all proceeds going to the John Greenleaf Whittier foundation. We have had great showings at a number of conventions recently, NECON, Anthocon, we had our first Maine excursion to Portcin Maine, Necronomicon - Providence, NH Comic Con. What's next? 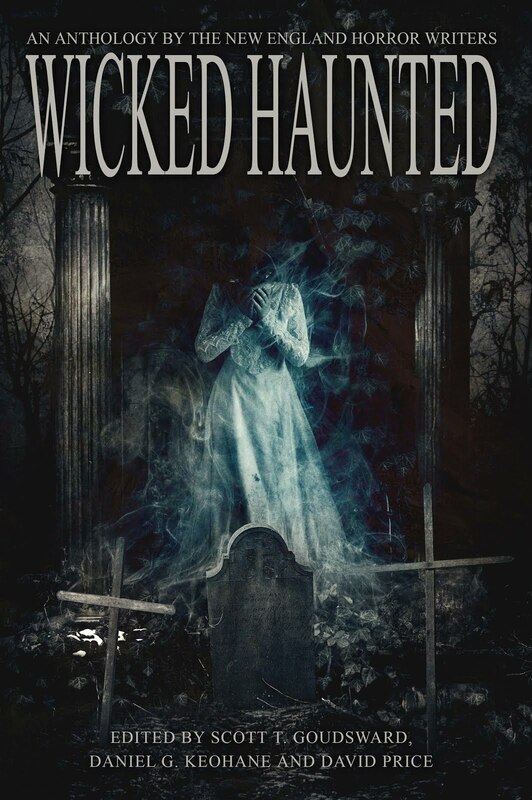 On October 3rd, several members will be participating in the first Merrimack Valley Halloween Book Festival . It runs from 1PM to 7(ish) PM there will be all day paensl, ending with a live reading of Jeckyll and Hyde. Do visit the FB page (follow the link) and check out the list of authors and the schedules. Books will be on sale from most of the guests, some from The Andover Bookstore and some of the guests will have their own tables. October 16-18 brings us to Rock and Shock. The NEHW will be giving a free workshop on Short Story Writing and we'll also be involved in the Saturday Writers' Panel. 11/21 - 11/22 we're at SuperMegaFest We're giving two panels during the course of the weekend. EA Black, Trisha Wooldridge. Rob Smales, David North-Martino, John McIlveen and Kristin Dearborn. Working on the blog site, it will change, a lot. Trying to get this working properly. While you ponder that, check out our FB group. Next weekend we're doing our first show of the year in Marlborough MA at Supermegafest. On hand for the weekend will be David Price, T Stephens, Travis Smith, Rich Feitelberg, Gordon Bean and Scott Goudsward. They will be on hand signing and selling books. They're also conducting 2 panels, the first The Basics of Getting Published, the 2nd, Self Publishing 101. Come on by, say hello. Rumor has there will be a few more members scattered about at their own tables - Look for Chris Philbrook and Stacey Longo. 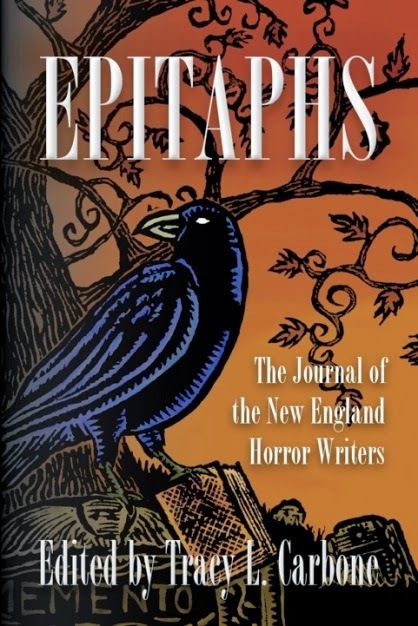 Wicked Tales: The Journal of the New England Horror Writers, Volume 3. We are so incredibly thrilled and pleased to present this. 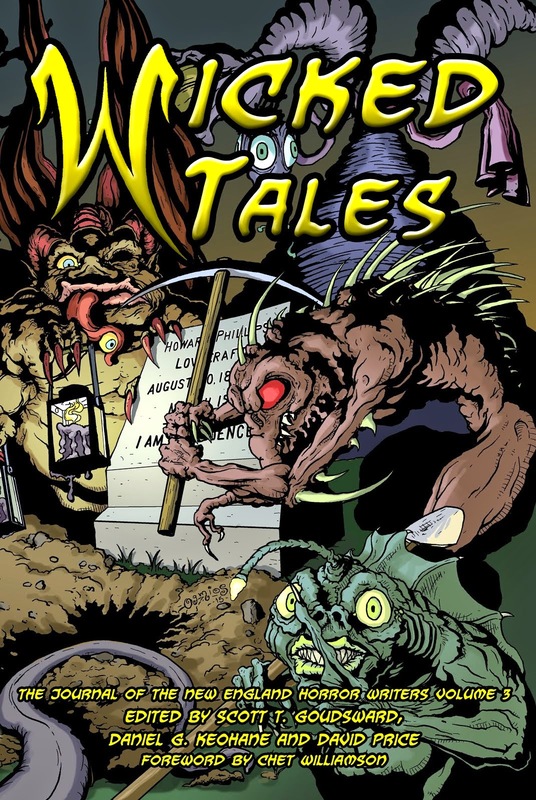 The book is scheduled to drop at Anthocon in June in Portsmouth NH.